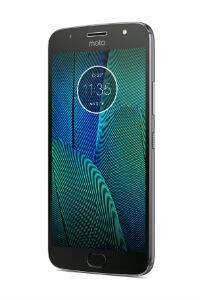 The Moto G5S Plus is the latest phone by Motorola, along with the Moto G5S, following up its G5 and G5Plus. This phone’s display is 5.5-inches with a full HD 1080p resolution, having 401 ppi and Corning Gorilla Glass 3. It is run by Qualcomm Snapdragon 625 processor with 2.0 GHz clock speed and this is an octa-core CPU. The phone has a 650 MHz Adreno 506 GPU. Moto G5S Plus dimensions are 153.5 x 76.2 x 8.0, and it weighs 168 g. It comes with Android 7.1 Nougat. Moto G5S Plus has a dual rear camera of 13 MP + 13 MP, while the front camera is 8 MP. Dual 13 MP cameras will come with depth editor, ƒ/2.0 aperture, colour balancing dual LED flash that provides 8X digital zoom for photos and 4X for video. The rear camera will also offer Auto HDR, video stabilization, 4K Ultra HD video capture at 30 fps and slow-motion video. The selfie camera, which is 8 MP, has a wide-angle lens, f/2.0 aperture and LED flash. The storage options available are of 3 GB RAM and 32 GB ROM, or of 4 GB RAM and 64 GB ROM. The G5S Plus will provide expandable memory of up to 128GB on microSD Card support. The Moto G5S Plus provides various sensors like fingerprint reader, accelerometer, gyroscope, ambient light and proximity.